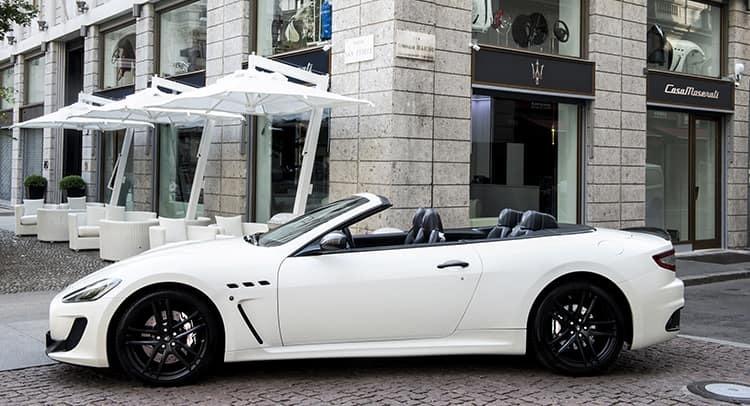 Located in Piazza San Fedele, the exclusive Casa Maserati outlet will invite guests to discover Maserati’s products in a bar and lounge atmosphere. From an illustrious racing history to an haute couture bespoke manufacturing process and exponent, Maserati has it all. It seems that the Italian brand focuses not only on performance, but on appearance as well. For a carmaker that flourished in the Fifties and Sixties with coachbuilt models, this is just keeping the tradition alive. So, an exclusive store-lounge-bar thing is just what it needs – especially as Maserati believes that some of its models were conceived to be driven as wearing an haute-couture suit. Apart from Maserati’s products, names like Poltrona Frau, Venini, Frigerio, Unopiù, Caffitaly and Montante will also be featured in the store. All of Maserati’s models will alternate as static exhibits in the forecourt and it will be possible to book test-drives alongside a professional instructor. Furthermore, the location chosen by Maserati keeps the Italian car manufacturer in close relations with its high-end business partners like Ermenegildo Zegna, Bulgari, La Martina and Dr. Vranjes – as Milan is considered the capital fashion of the world, base of the most renowned fashion houses.